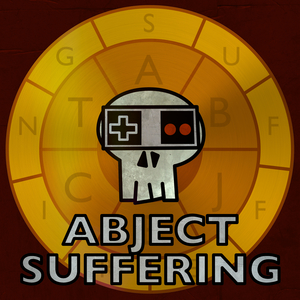 Abject Suffering started in 2012 as a side project for those who purchased the app. As Duckfeed's bad games podcast, Gary Butterfield and Kole Ross spend about half an hour with a bad game, then roughly that much time talking about it. In 2013, it was unleashed to the public as a Patreon goal (also allowing the app to fade from use). It is described by both hosts as their favorite show to record and is characterized by its more open format as compared to Watch Out For Fireballs!. 148 Kids on Site Jul 4th, 2016 - Trent? This is a list of all the games that were put up to vote to see which show would be on the Patreon exclusive "Exquisite Suffering" episodes.